A new MOODLE-integrated lecture capture system has been installed in the University of Granada (UGR), within its GA3 service. 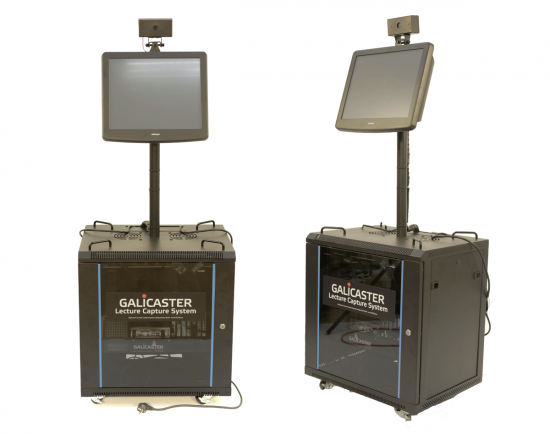 A recording infrastructure based on 9 Galicaster Totem-KIT equipped classrooms and lecture halls. A PuMuKIT repository to easily catalogue or curate the recordings as well to provide the user’s frontend portal. A PuMuKIT-MOODLE integration so Rich-Media recordings can be easily and securely included into MOODLE courses. TELTEK has provided also training for UGR IT-staff. The Recording and Storage System of Academic-Activities, GA3, is a service of the University of Granada (UGR) that was launched in 2014-2015 term by the Delegation of The Rector for the ICTs (DeTIC). The DeTIC is committed to extend this service to all the faculties at campuses in Granada, Ceuta, and Melilla gradually. The system is based on portable recording units (Galicaster Totem KIT) which are very convenient for any professor who wishes to record his/her lectures. At the same time, when using the new Teaching Resources Platform, the system is also presented as a personal channel where the videos are linked as resources for a particular subject. This solution is based on free software (Opencast + PuMuKIT) and it enables to locate parts of the video from the text shown on the slides thanks to an integrated OCR software. This initiative complements the UGR Multimedia Resource Portal, and allows the Virtual Learning Center to increase multimedia services providing great flexibility not only to Schools but to professors themselves. Professors can enjoy now an affordable and extremely easy to use tool to create Rich-Media lecture recordings and multimedia pills. With this new platform provided by TELTEK Academic-Activities can be easily broadcasted life or recorded and can be watched from remote computers and also from smartphones and tablet devices.